Every kitchen these days has a microwave. It’s a must-have for people leading busy lives. But here’s a question those looking to renovate their existing kitchen, or install an entirely new one, rarely consider: where exactly do you put the microwave? On the benchtop? Above the fridge? In a cupboard? The more you think about it, the more confusing it gets. 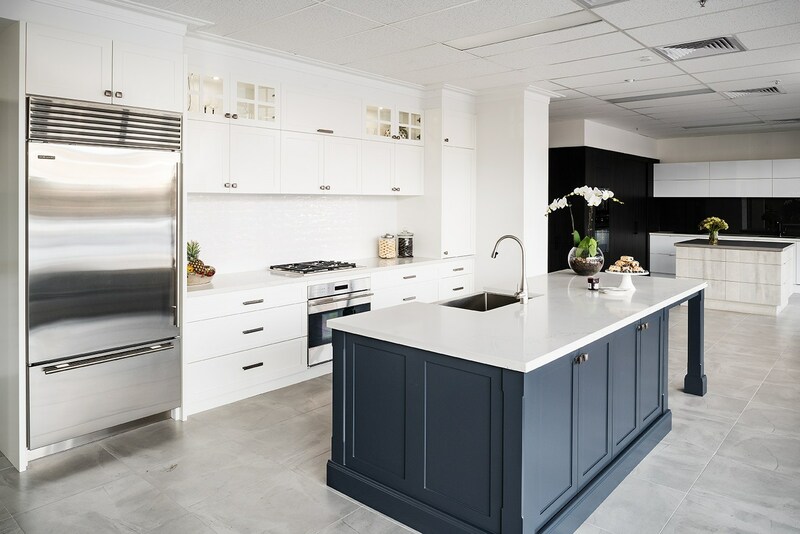 So to help you out, the team at Rosemount Kitchens decided to create this post to go through the pros and cons, and rights and wrongs, of where the microwave lives in your home’s most important room. Not that long ago microwaves were simply plonked onto the bench near an existing power point. I’m sure most of us now agree that’s a waste of valuable bench space – as well as a good power point. (Unplugging the microwave to use the power outlet, and then having to reset the clock, is a huge pain – unless you’re a student). And did you know that all microwave doors open from right to left? A little known fact that can have a big impact on where it lives in the kitchen. So apart from power point access and the way the door opens, what should you think about when deciding where to place your microwave? Like people, microwaves come in a range of sizes with varying heights, widths and depths. A position that’s ideal for the six-foot-plus man of the house might be awkward or simply unreachable for the kids. And vice versa. Keep both in mind. If you’ve got a small kitchen or shallow cupboards, your options may also be limited due to design limitations. What’s more important…. Storage space, or a ‘discretely placed microwave’? Aim for a location that’s convenient to the countertop, stove top and fridge. It’s really common to pop something straight from the fridge into the microwave, so you want the two to be close together – while ensuring there’s bench space nearby. That kind of positioning also minimises moving hot foods and drinks from one area of your kitchen to another – so there’s less chance of accidents. Behind closed doors It’s more popular these days to conceal the microwave.. That can be done using cabinetry with single or double doors that retract fully back; known as pocket doors. But these must remain open whilst the microwave is being used – because microwaves ‘breath a lot’. Be mindful, though, that some microwaves are pretty deep, and extra space is needed for venting. A below bench microwave cabinet is another great space-saving option. A big benefit of this placement is the microwave is less visible in an open room layout. It keeps the microwave off the benchtop and is also user-friendly – easy to access and not too low either. As for all design decisions, it’s your house and your personal considerations directly affect these conversations. Do you have very young children? Do you have trouble bending down? Placing a microwave in an overhead cabinet can be a great way of positioning a microwave. The benefit of this is keeping your bench space free, and allowing you to keep below-bench cabinetry free for drawer storage. Keep in mind that an overhead microwave cabinet will be deeper than other overhead cabinets. Positioning of this cabinet will normally be at the end of a run, against a wall – and bear in mind that the left-hand hinging of microwaves will affect the final placement. There’s also the issue of head room. The last thing you want is to bang your head on the microwave or make a kitchen space feel smaller. Overall, this can be a really good outcome, but it won’t suit every room. Recessing the microwave so that it’s flush with the kitchen wall makes for a very sleek look, but requires a suitable cavity that can house the body of the microwave. That only allows you to get a maximum of 90mm, but it’s also directly affected by what’s on the other side of the wall. Perhaps one of the most practical design solutions is placing a microwave above a wall oven in a tall cabinet. It works visually because cooking appliances are kept together. Aesthetically, that maintains consistent look. Positioning the microwave above a wall oven will also have your microwave at the perfect height. Not placing the microwave too high is most important because you never want to be lifting hot liquid above your line of site. With all the above microwave positions, you should consider purchasing a microwave “trim kit”. Standard microwaves are fitted into an open cabinet with “air gaps” all-around for ventilation. Using a microwave “trim kit” means that the microwave is fitted into a space in the same way as an oven or steamer Aesthetically, this gives you the a seamless appliance which is more visually appealing. I hope that’s given you a good insight into the pros and cons of where to put your microwave. My advice: if you’re installing or renovating a kitchen, make sure you get help from an expert kitchen designer from a company like ours. 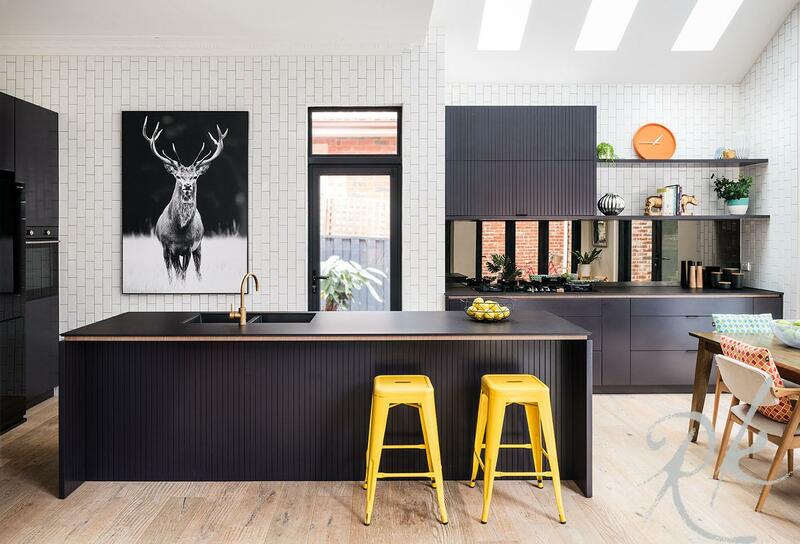 When they’re advising you on your dream kitchen, attention to detail is vitally important – and a microwave is a great example of that principle. Want to check out some great kitchens? Browse this site or come and visit one of our showrooms.